I finally won something on one of those “like our Facebook page and be entered in a drawing for a prize” contests. I, however, wasn’t the initial winner of said contest. I was the second name randomly selected after the initial winner had to reluctantly decline due to scheduling conflicts. My Saturday schedule was wide open so I graciously stepped in when my name was selected and accepted the prize. What was the prize you ask? A one day, 6 hour, beginner tactical rifle class! This is a brand new instructional course dreamt up and designed by the guys at 13Zulu in conjunction with DoubleTap. And by winning the Facebook contest I was invited to take the very first walk through of the course with them. Now, I had to get an AR-15 so I could participate in the different courses of fire. No problem, I just called up my dad and he let me borrow his for the day. Saturday morning rolled around and it was time for me to head out to the Pawnee Sportsmen’s Center (PSC) range to get ready for the class. I admit I was a bit nervous and had some butterflies about what to expect. I had never owned an AR-15 before and had probably only put about 20 rounds through my dad’s, ever. I started to think I might be in over my head, even as this was slated to be a “beginner” course. Fortunately, my apprehensions were put at ease as the guys from 13Zulu, Casey and Mike, started to discuss what they had planned for the course. I knew immediately that not only was I going to have fun, I was going to learn a lot of information about the AR platform and how to operate it safely and precisely. Casey and Mike were very knowledgeable and have a vast amount of military training and instructing between them. The day rolled on and I soaked up as much of the information and training as I could. We progressed from the basic safe handling and functionality of the AR and added new skills and techniques each time we went to a different course of fire. I learned the difference between a “tactical” reload and a “speed” reload and how to perform each of them. I learned how to clear a jam and how to transition between the AR and my 9mm sidearm. We worked on all the different skills dry (unloaded) first before progressing to a live course of fire. This was really a great way to learn. 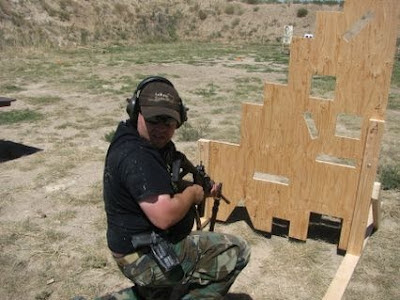 It helped build my confidence and allowed me to focus on the technique and the mechanics of it before attempting it with live ammunition. Mike and Casey were very helpful and offered constructive criticism throughout the course. I am grateful for their patience and agree wholly with their mantra of creating “consistency” through repetition. It is all about doing these skills the same way every time and reducing wasted motions. I don’t want to drone on and on about each course of fire and what the guys from 13Zulu had me do, you’ll have to take the course yourself to find out. And let me say that I highly recommend it, even if you are not new to the AR platform. I will be taking the class again when I get my own AR-15. I would like to give a huge thanks to Casey and Mike at 13Zulu and DoubleTap for allowing me to be their guinea pig for the day. It was an incredible opportunity that I won’t soon forget. 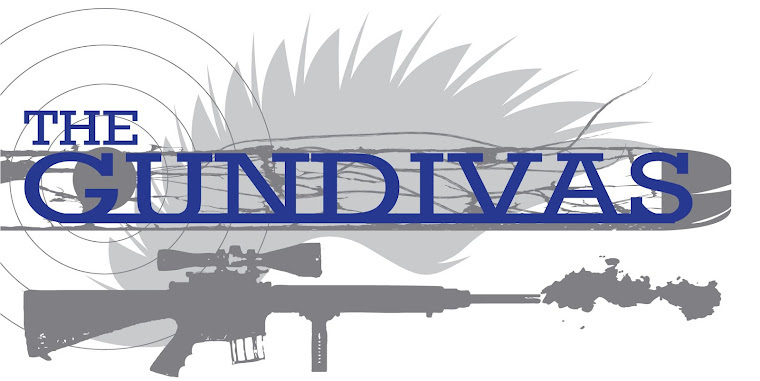 A note from GunDiva: if you are interested in taking this course, please click on the "Training" tab under the header. Jay, I don't think I'd call that a "beginner" class. We had small class size and the Instructors were able to give us a lot of personal attention. Since neither of us had bad habits, or habits at all, we were able to learn the correct way the first time. I think beginners can take it and come away with a lot of good skills and experienced shooters can learn and cement new skills and techniques. Glad you liked and learned from the class. You're not the only one who's jealous, AGirl. I can't wait to take it in October. The guys from 13 Zulu have been there/done that and I have a ton of respect for them. I'm glad Double Tab has had the chance to team up with them. And Jay rocked the 9 hole barricade!